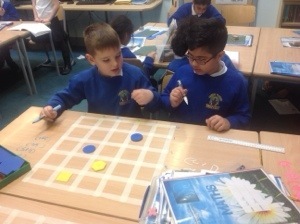 Engaging hearts and minds in the joy of learning. 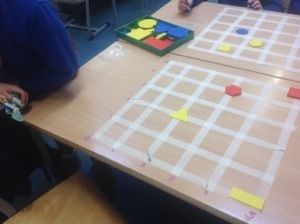 Today we have been learning to position objects in the first quadrant. 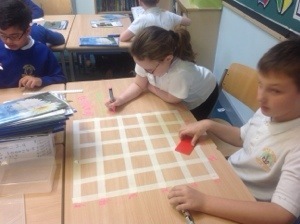 Some children used their skills to play battleships while others have been working hands on with their grids. We were in a world created by Mr Williams where we could talk to each other.